According to the result of the recent Dagogo Poll that ran between November 29 and December 5, 41% of respondents use dynamic multiple-driver speakers as reference, against 18% for horn, 21% for electrostatic or magnetic planar, 15% for single-driver and last not least, 5% for types of hybrid of the aforementioned. Although the sheer availability of the dynamic multi-driver design produced by the majority of manufacturers is the most sensible explanation for the design’s popularity, the fact that a good majority of Dagogo’s audiophilia-stricken readers are also using the design denotes the speaker type’s ability of appealing to the taste of the audience. In a high-end audio system, the loudspeaker determines the character of the system as a whole. 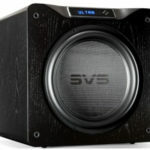 Dynamic multi-driver speakers are usually not as efficient as single-driver ones, which are usually very efficient, but they are still more benign in impedance considerably compared to the planar type. With that said, more powerful amplification remains a preferred sonic match for a system with dynamic speakers. The sonic consequence of amassing powerful amplification contributes to the sound of dynamic speakers admired by so many of us. High-output tube amplification tend to offer a golden tone that emphasizes the range from upper bass to lower treble, while powerful solid-state machines often flush out the dynamics in expeditious transients that vacuum tube amplifiers are shy of. The Lumenwhite Artisan loudspeaker, the subject of this review, stands apart from the mainstream dynamic multi-driver designs for the array of custom ceramic inverted dome drivers for the midrange and three woofers. The prohibitive costs of developing this design are underlined by the concurrent use of a custom ring radiator tweeter, similar to the one on the identically priced Rockport Technologies Mira Grand II that I reviewed immediately before it. There are several other makes using ring radiators as tweeters in their loudspeaker design, but Lumenwhite is the only manufacturer I am aware of that makes such comprehensive use of custom inverted dome ceramic drivers for the rest of the speaker. Ceramics are wonderful material for heat tolerance, even our space shuttles use them for re-entry protection. In addition, their low mass and harness makes them seemingly ideal for driver application. The only question is if ceramics sound good. “Lumenwhite pioneered the use of all ceramic driver arrays in loudspeakers in the late 90s, inspiring multiple emulation attempts by others thereafter. Beyond their electro acoustic specifications, all cone materials exhibit typical sonic signatures and resonance spectrum properties, which define their sonics and psycho acoustic compatibility with human hearing. As custom configured according to our own specifications, the ceramic cone drivers as used in Lumenwhite speakers possess a uniquely neutral sonic signature with vanishing parasitic resonance artifacts, the latter further reduced by our proprietary resonance unification technologies. In combination with our custom designed signal path and cabinet technologies, our driver arrays offer unprecedented spectral purity and low noise, superior resolution and ambient retrieval, exceptional rise and settling times, transient fidelity and overtone preservation, ultra wide bandwidth, vanishing pass band ripple, superior octave-to-octave energy balance and freedom from compression, masking and energy storage effects. The use of ceramic drivers alone, especially when implemented within the context of conventional cabinet, loading, damping and crossover technologies, in our view, does not permit this level of performance to be achieved. Modern high tech cone materials can easily induce perceptual stress due to their unnatural sonic signatures and overtone spectra, triggering continuous and elevated adaptive & compensative activities in the brain`s sound processing. Quickly arising listener fatigue and emotionally unsatisfactory listening experience associated with many high tech technologies can often be traced to this rarely researched causality and let many music lovers prefer the more “organic” sound of older technologies even so it usually comes at the price of increased parasitic artifacts masking the signal. Both the Rockport I mentioned earlier and the Lumenwhite are multi-driver designs and rated at comparable efficiencies. Each uses a one-inch ring radiator tweeter and accompanied by one or more midrange drivers and multiple woofers: one 5.5-inch midrange and two 7-inch woofers on the Lumenwhite, and two 5.25-inch midrange and two 10-inch woofers on the Rockport. There are areas at which the Lumenwhite and the Rockport each excels. Both were auditioned with the Music Interface Technology’s Oracle V1.3 single-wired speaker cables, Pass Labs XA100.5 class A solid-state monoblock amplifiers, INEX Innovation Photon solid-state preamplifier, Audio Note DAC5 Signature and 47 Laboratory 4704 PiTracer CD transport. Specifically, the Lumenwhite has three 7-inch custom ceramic inverted dome forward-firing woofers. This alone is a promise of extraordinary bottom-end performance, and “extraordinary” doesn’t even begin to describe the experience. The Lumenwhite Artisan’s rendition of the pipe organ in the First Impression Music K2 edition of the Proprius audiophile standard Cantate Domino was the most superior I’ve experienced in its live-like attack speed and differing dynamic scaling. Driven by a pair of the Pass Labs XA100.5 pure class A solid-state monoblock amplifiers, the Lumenwhite blazed new trails in reaching down into the sub terrain region of the pipe organ while retaining the most extraordinary level of low-level details. Exceptional sonic prowess such as this warrants multiple passes on a single disc, and I just couldn’t get enough of the magic in a day’s work. Make it three months’. The more times I listened to bass-rich recordings, be it of the spine-tingling, infinitely tasty tuba, or the tender, soul-melting cello, or the feisty electric bass of Queen’s John Deacon, the more I got all warm, fuzzy and … wanting more. For the time I began auditioning the speakers until their imminent return to the importer, I just couldn’t get over the magic created by the Pass Labs, MIT and Lumenwhite. Retrospectively, the deepest and most powerful bottom-end rendition of instruments came from the Rockport’s two 10-inch ultra-stiff, side-firing paper woofers, albeit not in the Lumenwhite’s same dynamic sense. The law of physics favors larger diameter drivers in creating a more substantial bottom-end. The question is whether you will be more satisfied with the Rockport’s authoritative stance, weight and its signature lushness, while passing up the Lumenwhite’s interpretation in dynamics and resolution of bottom-end instruments, a feat rarely realized by those with large woofers. For all that, the Lumenwhite is slightly less deliberate in reaching down to the abyss, but equal to the Rockport in almost every way. Both speakers presented music in very involving manners tremendously conducive toward long hours of fatigue-free listening, and the definitive dynamic liveliness of the Lumenwhite cast stark contrast against the Rockport’s bass power. I close my eyes customarily when listening to a sound system, and the Lumenwhite presentation was as three-dimensional as any speaker can get, its spatiality so well-formed that it drew me in effortlessly. Like those classic British two-way monitors of the 80s, the Lumenwhite with its ring radiator tweeter and tightly spaced midrange was peerless in rendering a spacious soundstage and depicting movements onstage. This was further facilitated by its highly diffractive, rounded front baffle and cylindrical cabinet, which must have contained the back wave of the drivers quite effectively while reducing front baffle diffractions. The considerable physical weight of the Artisan was also indicative of substantial bracing measures that minimized internal resonance. 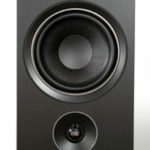 While the Rockport has its front baffle carved into various contours for reduction in diffraction that fit the midrange-tweeter-midrange arrangement mid-ship in its tall physique, the Lumenwhite had its main drivers, namely the ring radiator tweeter and ceramic midrange situated in close proximity near the top of the cabinet and firing slightly upward, and its woofers relegated to the lower positions. This called for judicious forward-angling of the speaker in some rooms to lower its line of fire straight at the listening height. We may regard those who insist on using speakers with haunting dimensionality and imaging capabilities as radicals and nonsensical, and most of the time I would enjoy conducting my review projects with speakers excelling at drivers integration and tonal sophistication that may or may not also be imaging champs. However, to hear is to believe, and the instance I began auditioning the Lumenwhite, it became an experience few speakers could match. Whereas tonal speakers conjure up emotions and memories, the Lumenwhite channeled my attention toward a realm of surreal dimensionality, super-responsive transients and very powerful dynamics. To be able to shed the dust of daily life off my mind via music listening through the Lumenwhite was, in a word, liberating. Until the day it was returned to Charlie Harrison, the Artisan turned my every listening session into a festival of sorts, an eye-opening, three-dimensional and irresistible one. Re-imaging live instruments on stage to the extent accomplished by the Artisan was a feat far and few in between, one that nearly made the listening experience a visual one. The trio of ceramic woofers further reinforced the reproduction of a full symphony orchestra in the most expeditious and surreal manner. A 7-inch woofer is bound to recover and re-launch faster than a 10-inch one can, and listening to music as presented by three 7-inch ceramic woofers is a luxurious experience not to be forgotten soon. 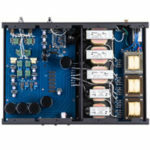 Many of us believe that pace of advancements in speaker design is such that competent designs regardless of vintage will remain competitive even in today’s marketplace. I was one of the hopefuls, and I had owned a 1993 Klipschorn and Apogee Duetta Signature, among others, in pursuit of that sound and technology that I believed would never grow out of style. 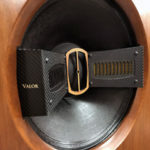 It is reasonable to assume that a good number of readers and audiophiles own speakers of varying vintages as well; after all, not too many of us can afford to be always at the forefront of technology. And yet Lumenwhite reveals the wide sonic divide between its Artisan and the rest of the world. For this listener, it has not been a prospect easy to accept. The silver lining in all this is that I believe the technology embedded in the Artisan is so unique and visionary that it will continue to be highly relevant even in five years. The Lumenwhite Artisan is almost too beautiful with its exquisite finish to be so exacting in performance, and I reckon the folks in Germany have indeed produced a transducer worthy of a place among the best in today’s market.